No matter what, you can’t deny the fact that both touchless and touch faucets are extremely handy. Particularly in the kitchen! Both make tasks such as preparing meals and cleaning up faster and easier. But the debate about “touch vs. touchless faucet which is better?” still stands. What’s the primary difference between the two? The touch kind requires your touch. As for the touchless, it demands only a hand wave. Or you can simply place the item under its spout for activation. But you might already know this. So let me tell you something you probably don’t know. Delta Faucet was the first company that manufactured a touch faucet. And then, not after very long, touchless faucets took over the market. Due to their commercial presence! The faucet technology even now continues to grow, evolve, and improve. So in order to decide what option is more suitable for your kitchen or home, here’s what you need to do. You have to go through this post. In here, I have discussed everything regarding the most popular debate. Touch vs. touchless faucet which is better? Only then can you determine which technology is more appealing to your taste and preferences. So how about we get started? There are sensors integrated into the touch faucet spout. These sensors measure the natural electricity of your body. That or your capacitance. When the capacitance increases, water turns on. And it goes off with your second touch. Also, the sensors are quite sophisticated in terms of technology. What I mean to say is that they understand the difference between grab and touch. So you can clean pots and rinse vegetables in whatever way you like. Without having to deal with the faucet going on/off. Cleanups and meal preps are often very messy on the hands. 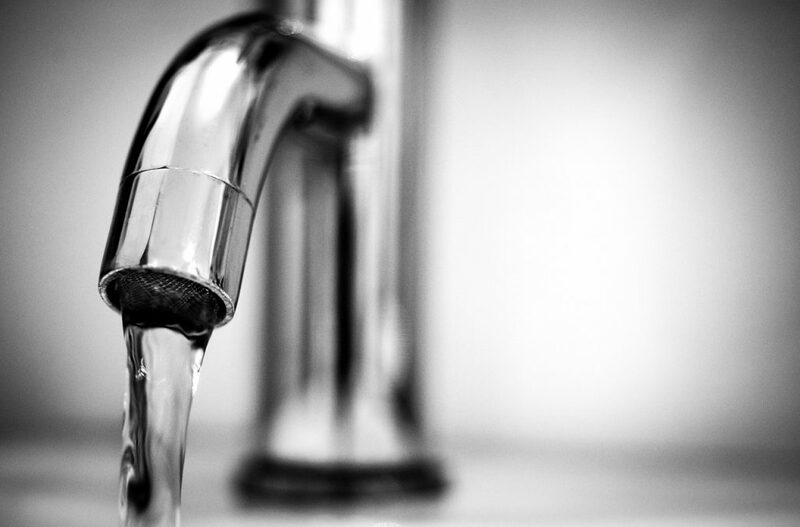 How many times have you had to clean the icky, sticky mess from the faucet too? Cleaning off dishes, counters, and table means touching the faucet with dirty hands. This was when touch faucets were not a part of the scene. But now, thankfully, that’s not the case. All you have to do is gently touch the faucet’s neck. Using your elbow or back of the hand. The water starts to flow. That means no need to bring your dirty, sticky fingers in direct contact with the faucet anymore. Like I said, cleaning up becomes faster and easier. Here’s another thing you might want to keep in mind about touch faucets. Since you don’t have to clean them up often, the finish tends to last for a longer time. The deal with finishes is that they require a little more attention than just using mild soap and damp cloth! However, not scrubbing them definitely doesn’t hurt. To be honest, installing touch faucets is no easy business. Actually, it all depends on whether the faucet requires A/C power or batteries. The latter has the ability to last for 2-5 years. 2 years if AA batteries are a part of the picture. And 5 years if C batteries are used! As for electricity, it’s another best long-term option. But the drawback to this is a higher energy bill. However, not necessarily in a huge amount! Before you start looking for the best touchless kitchen faucet reviews, get to know how it works first. The touchless technology relies on sensors that are typically positioned below the neck. Mostly at the faucet base! To detect your movement, that is required for operation. The sensors are designed to prevent accidental activation. At the time of working around or near the sink! Much like the sensors installed in touch faucets. Are touchless faucets worth it really? It’s time to find out! You don’t need to touch the faucet anymore each time you wish to start water flow. And not having to do that has a huge impact on cleanliness. No wiping off sticky, dirty residues anymore! At the same time, you prevent the spread of potential germs too. It has many benefits; not bringing your messy hands in contact with the faucet. You get the opportunity to contain all the kitchen mess. No crumbs scattered, which usually happens. Even when you’re turning on the faucet with minimal contact! As for keeping the finish intact, touchless faucets enjoy the upper hand in this area too. You don’t have to take measures to get the dirty spots and stains off the faucet, right? So all you need to do is use a little bit of dish soap and damp cloth. And your faucet continues to look new. A/C power and batteries are the two options with touchless technology too. The greater part of the best kitchen faucets includes AA batteries. But you can always order for the electric kit individually as well. However, if you’re not so keen on changing batteries, you might have to spend a little more. On the A/C adapter, that is perfect for the long run. So touch vs. touchless faucet which is better really? The time has come to declare the superior player. But before I do that, know this. Both touchless and touch faucets provide advantages that surpass expectations. They have many similarities with very few differences. And when it comes to picking one, I’d recommend touchless faucets. Cause they offer a true hands-off access to water supply. So are you all geared up to install the best touchless bathroom faucet? Or the same for the kitchen perhaps? Jennifer Kessler is a mommy blogger with an unwavering commitment to change the conventional way of doing things. She wishes to encourage homemakers and parents to accept the challenges of daily life. Only then, Kessler believes, can you strive to overcome those hurdles. And as a professional writer, she’s constantly trying to bridge the gap between the two.